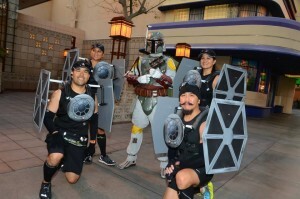 The course was with runDisney runners/Star Wars fans who took part in the inaugural Star Wars Half Marathon events this past weekend at the Disneyland Resort. The weekend’s festivities began last Thursday with the traditional opening of the Health and Fitness Expos that always accompany the run events. Featuring local and national vendors and speakers, the Expo is a great way to not only buy your last-minute running gear, but to meet your fellow runners as well. Thursday night also brought along with it the Wookiee Welcome Party. 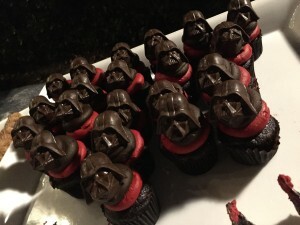 Another runDisney staple, these welcome events allow attendees to celebrate the weekend’s events with a private party inside Tomorrowland at Disneyland Park complete with Star Wars-themed desserts, access to attractions, and exclusive photo ops with your favorite Star Wars characters (which got more of a line than the attractions and food did)! After the celebration, it was time to see if the runners would “Let the Wookiee Win” in the race events themselves. 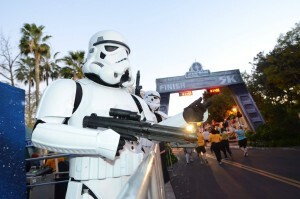 Runners dressed as their favorite Jedi, galactic hero, and even spaceship from the famed franchise blew through the 5K (3.2 miles) on Friday, 10K on Saturday, and the Half Marathon on Sunday morning. Some even took a time to stop and snap pictures with their character counterparts along the course itself. In all, about 30,000 medals were given out during the weekend and proved that these races are popular as ever. 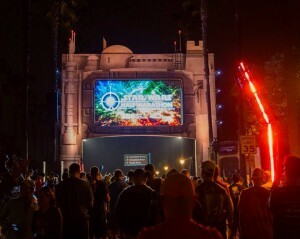 Put on by runDisney and Disney Sports – a division of Walt Disney Parks and Resorts, the Star Wars Half Marathon Weekend was the second of two new races that take place at the California Disney resort with the Avengers Half Marathon Weekend taking place just a few weeks ago. Both these events are there to satisfy the massive demand that these races have with each one selling out within a few short hours. The logic behind the popularity is simple – the opportunity to combine something like exercising with a brand like Star Wars (that Disney owns if you didn’t know) only grows the appeal of exercising. Having these races take place inside of Disney ever-popular theme parks only adds to that appeal for many, from Master Jedi to young padawan. We’ve always loved the runDisney culture since our first races a few years ago and we can’t wait to see what other brands will turn into races this year! 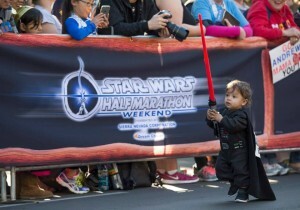 On behalf of everyone here at DE, congrats to all who took part in the Star Wars Half Marathon Weekend! 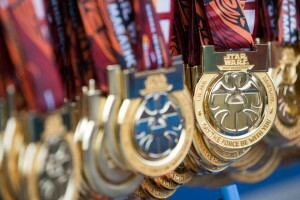 Will you take part in next year’s Star Wars Half Marathon? What would convince you to run one? What other Disney brand would you like seen turned into a race weekend? Share your thoughts in the comments! Previous story Check these Disney Cribs.